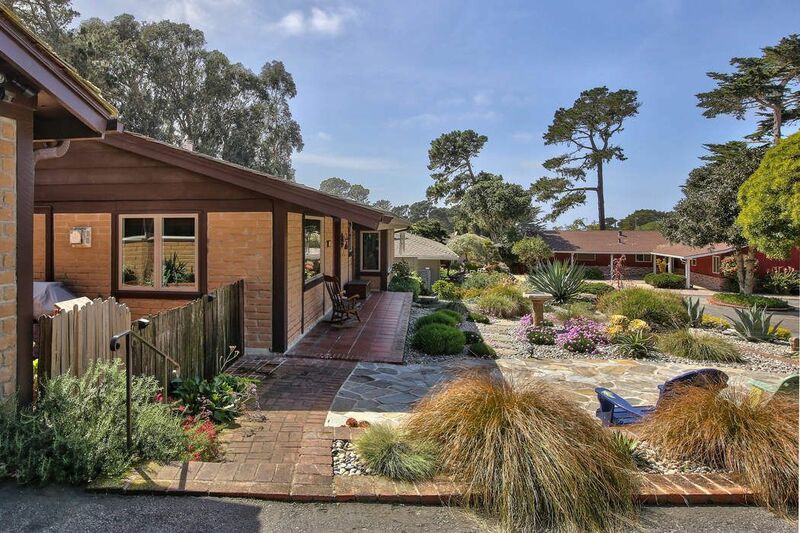 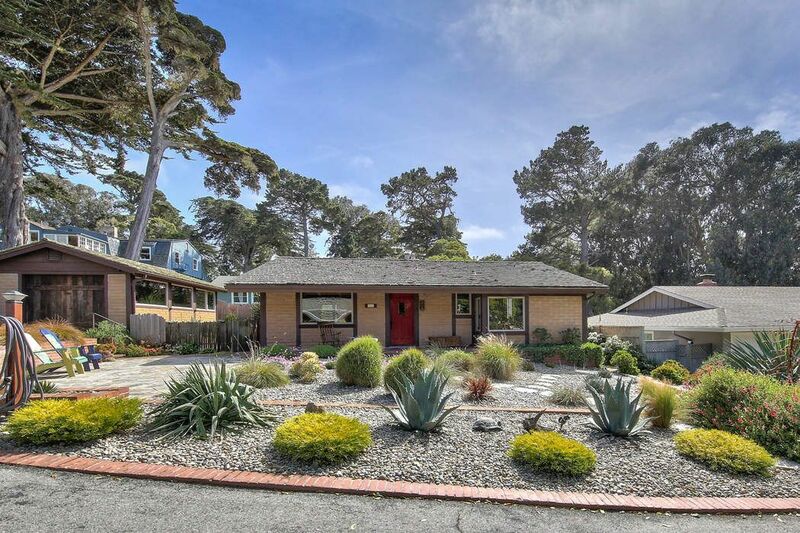 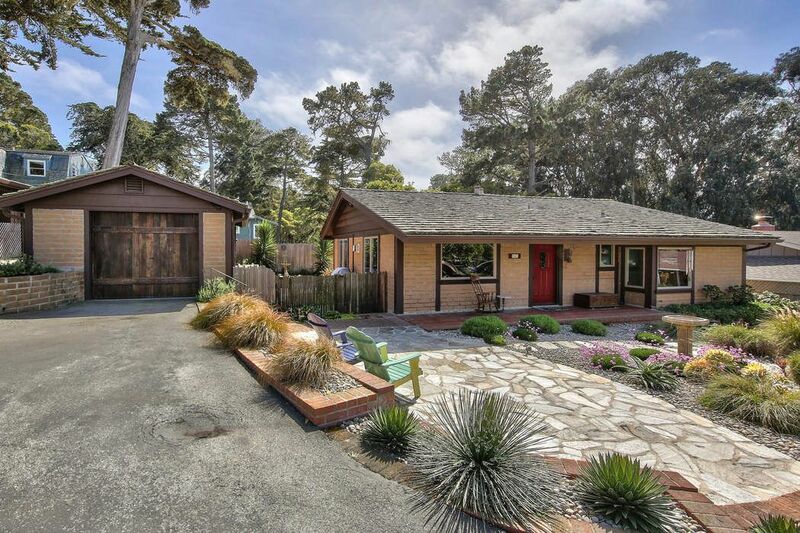 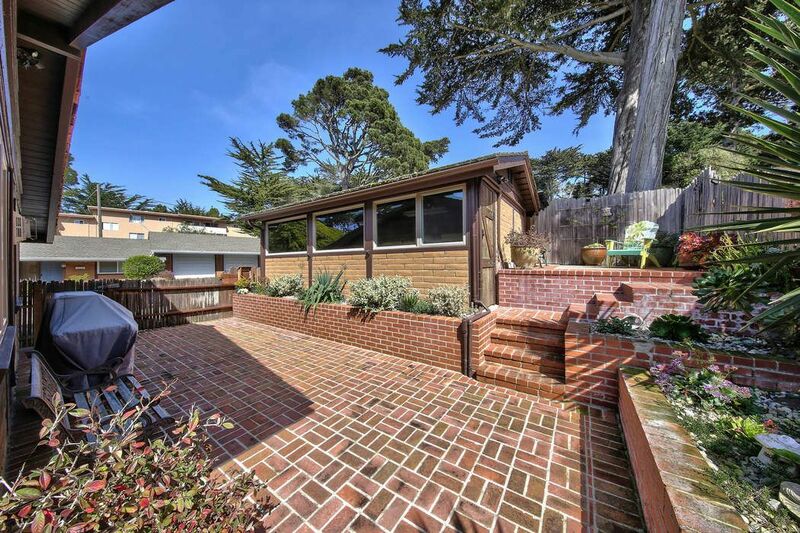 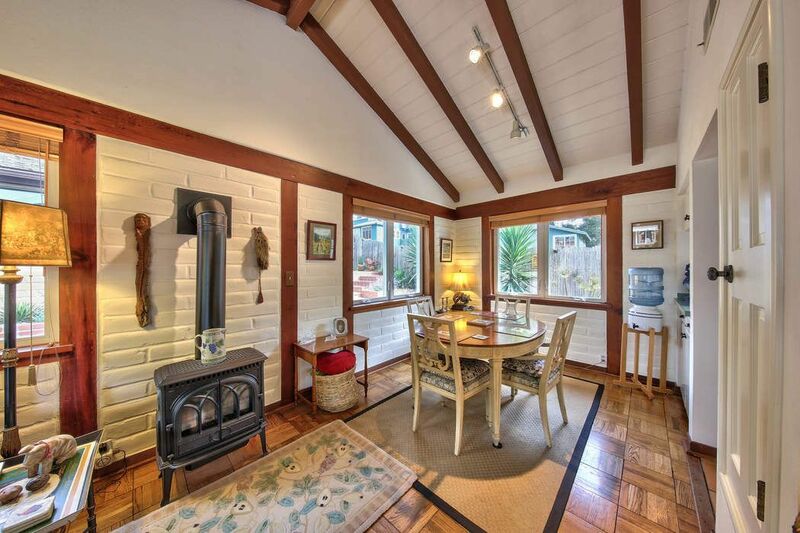 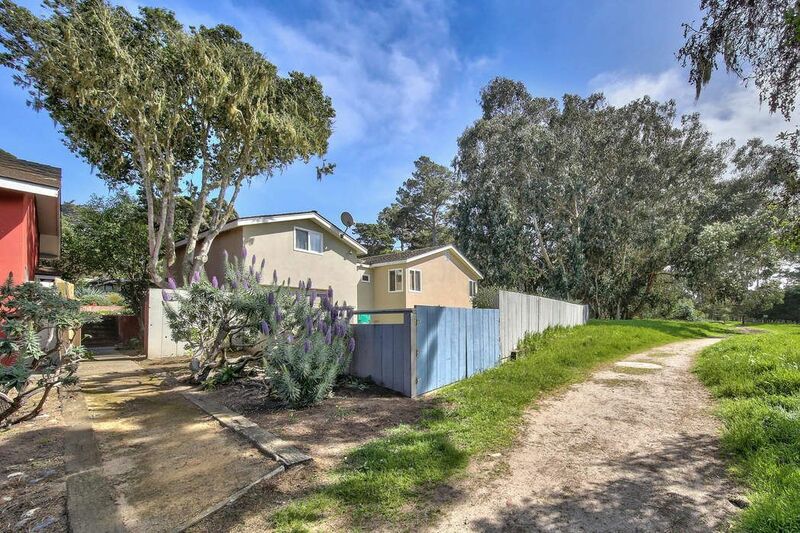 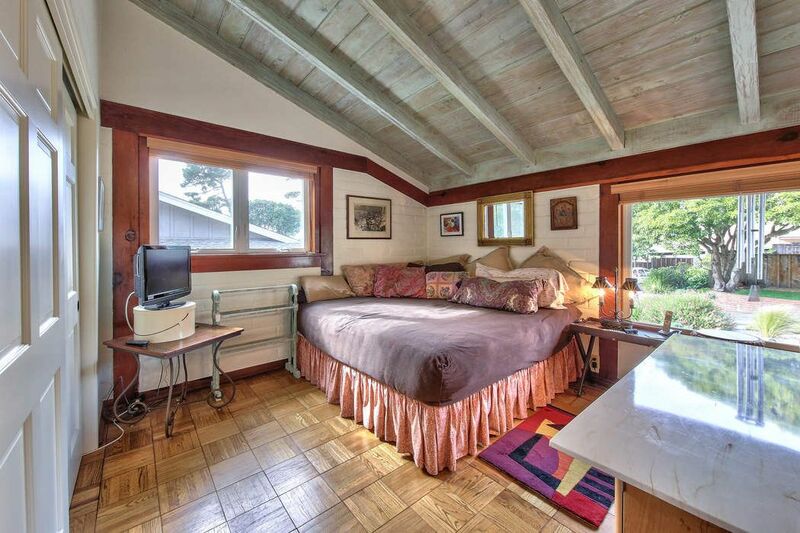 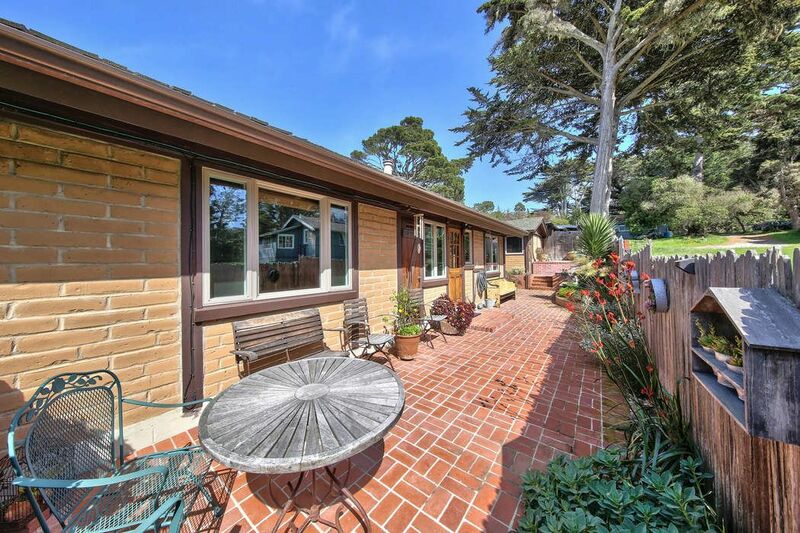 242 Grove Acre Avenue, Pacific Grove, CA 93950 | Sotheby's International Realty, Inc.
$875,000 2 Bedrooms1 Full Baths983 sq. 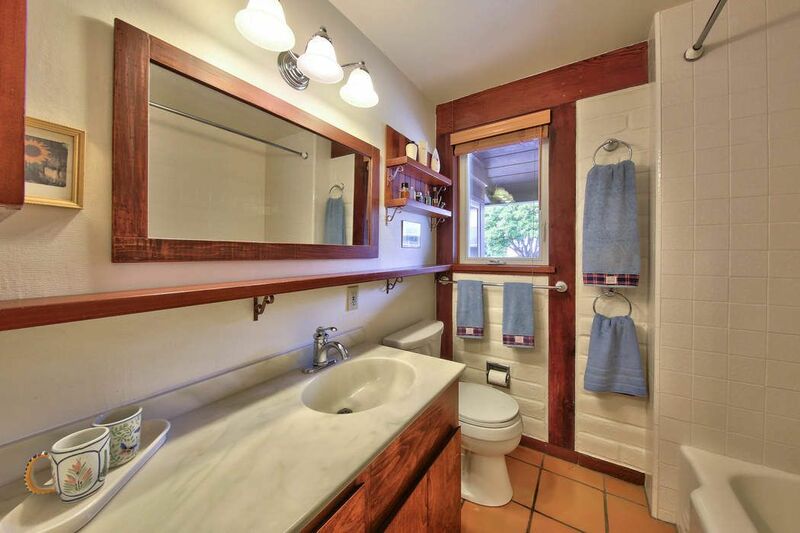 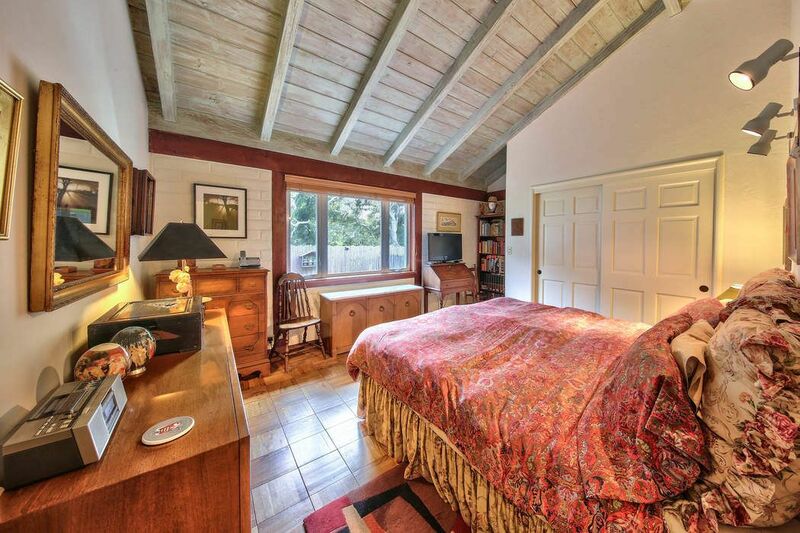 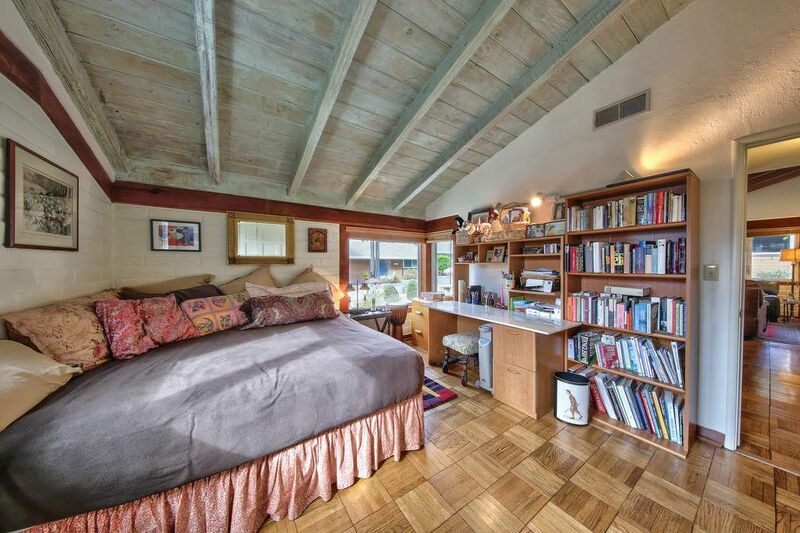 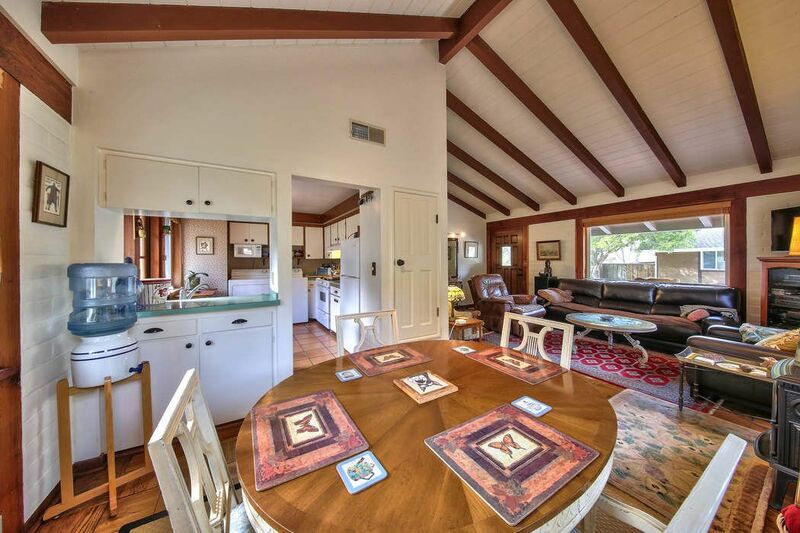 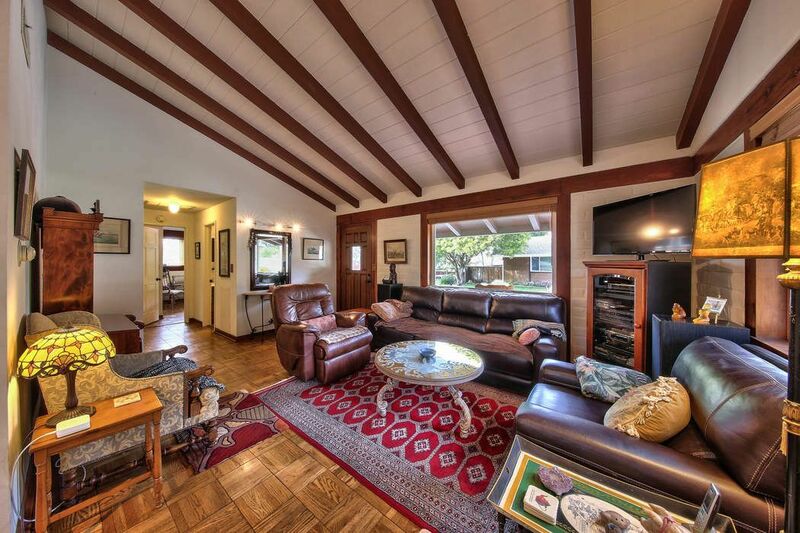 ft.
Inviting light filled, single level post adobe two bedroom, one bath home. 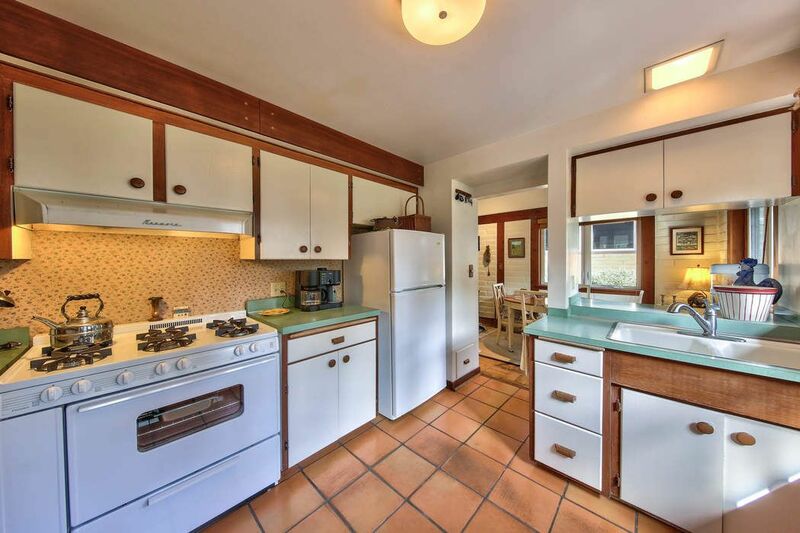 Features of this unique property include high, open beam ceilings in living, dining room and bedrooms, Norwegian gas burning stove, free flowing floor plan, immaculate kitchen with six burner gas stove, double-paned windows, oak and tile flooring, two large bedrooms that can accommodate king sized beds and an over-sized one car garage with plenty of windows. 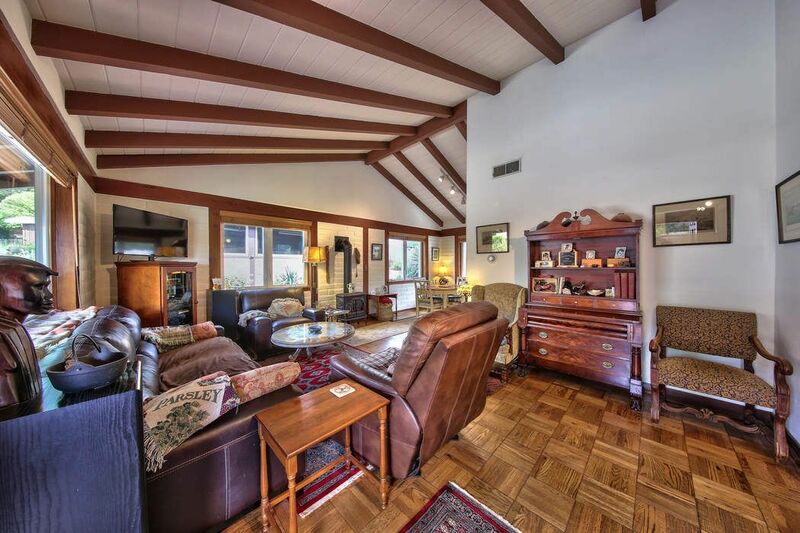 You will appreciate being welcomed home every day to this calming refuge and its artistic arrangement of drought tolerant landscaped grounds with west facing flag stone patio area. 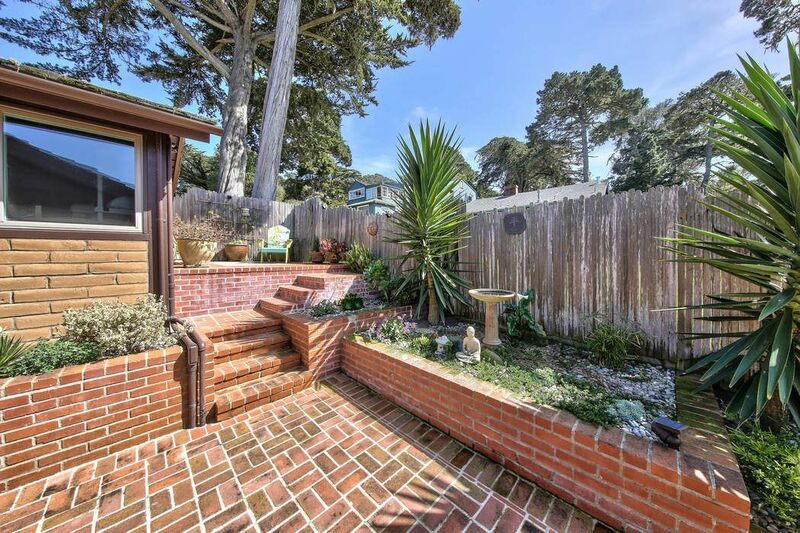 The multi-tiered back patio has a raised platform and is perfect for relaxing with a steaming latte in the morning or for unwinding in the evening with your best friend, a glass of pinot as you gaze at sunset views over the Pacific. 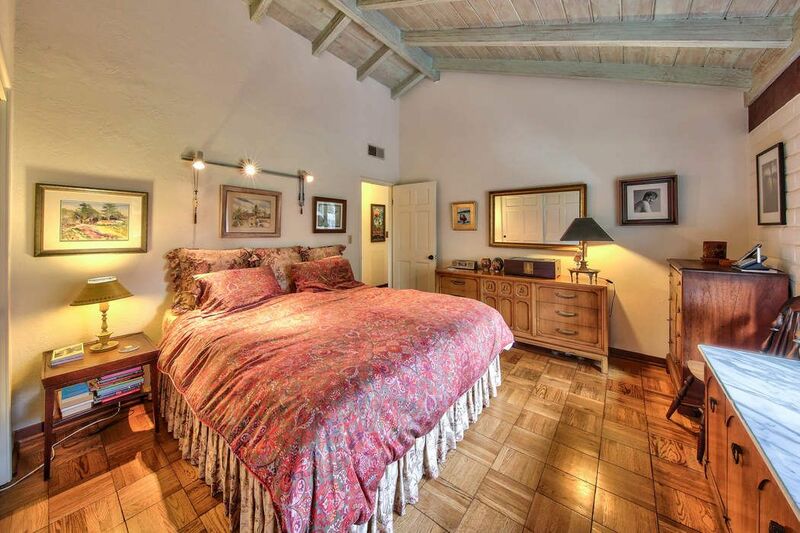 Located in a private enclave of seven homes near golf courses, beaches and hiking trails, this property is a peaceful sanctuary. 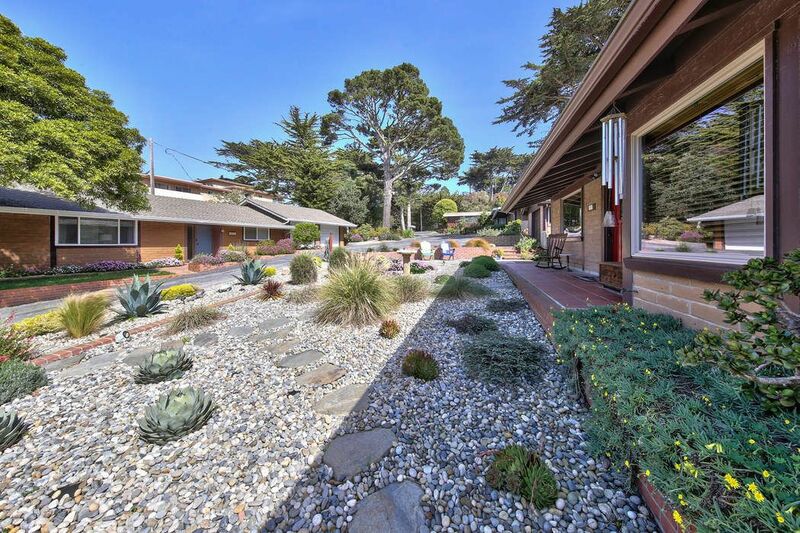 Time to get your Zen on.